Twin Engineers Pvt. 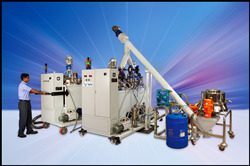 Ltd. has been in the field of Dispensing Systems since 1993 and has made its mark in the sector. 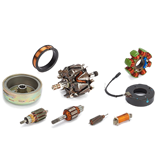 Twin's product range includes more than forty variants across five broad categories. All the products have an in-built flexibility ensuring easy scale-up to meet your future expansion. 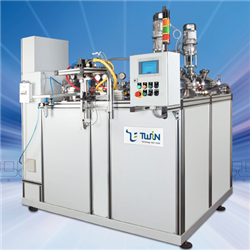 Twin's meter mix, robotic sealant dispensing and fluid filling technology has proved its mettle in numerous applications that use single, dual or multiple components of performance polymers & industrial fluids. 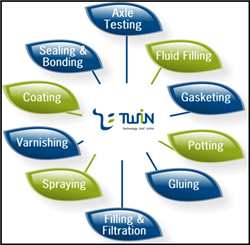 Twin has a specialized, dedicated team that visits your site to do a thorough study of existing products, dispensing processes and systems and readies a full-proof transition path to help you achieve final results. 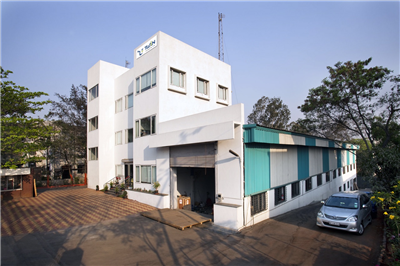 Starting the business was with an intention to aid enhancement in productivity of our customers by offering automation solutions in a highly niche area of adhesive and sealant application. We spotted an opportunity and built on it. We study the market, best try to offer solution for the requirement by offering a machine amongst the product range we have along with enhanced features which would best suit the customer requirement. Of course, customer is the focus of everything we do. Nearly 50% of our raw material suppliers are having green channel status. All their material is taken directly for production, without receipts inspection. No. 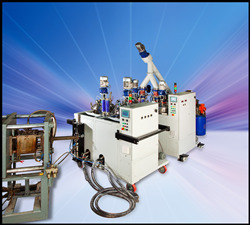 This is because each of our machine is dispatched after inspection and trials by the customer. Besides, there are very few times, there is a repeat customer. Nearly each time, a new customer orders. In case, where a customer makes a repeat order, pre-despatch inspection is usually skipped. Twin Engineers being an Indian family owned organization, establishing a brand seems to be a bottleneck. For establishing a brand we see ourselves complying with all the quality standards set by the multi nationals we are working with, we have been recipients of supplier awards from organizations like Ford and Toyota. We do have international competition and yes we encounter failures. We do see a brand image affecting us by way of eating sizeable share of potential market. However it is not just the MNCs that we cater to but also local customers and that gives us an opportunity to understand their issues and offer solutions which would resolve them. Our focus is always on the stakeholders we have. We communicate the market requirements to our employees and develop their talent in view of the role they play and the technical know how required for delivering the expectations. Our employee development focus is not just techno-centric but also around developing the soft skills, their welfare, addressing their concerns and resolving those. With this approach there is a sense of belonging employees have towards the organization. 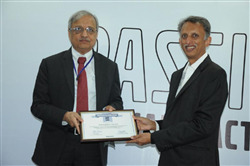 We focus on overall development of employees by training them and addressing their concerns. For our investors and customers, we have been serving them with a value add, to cite an example, as our machines cater to a highly specialized requirement, we offer solution catering to their productivity and initiate a training for usage of our machines for the customer employees, because of which the customer is able to gain best results out of the machine we have supplied them. We have been developing young and budding entrepreneurs thru coaching and mentoring with help of an institution BYST and we give donations to educational institutes. Our very innovation of solvent less dispensing has been a contribution towards environment protection. The usage of any chemical solvent has been avoided in the process.